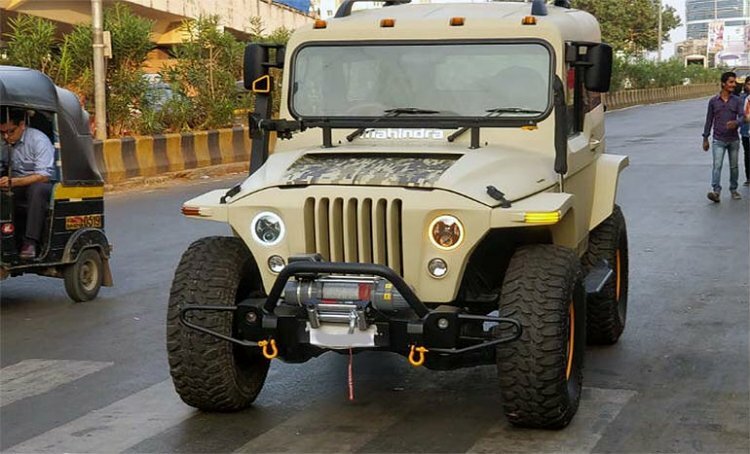 The above SUV is the newest Thar-based custom job to have come to light. 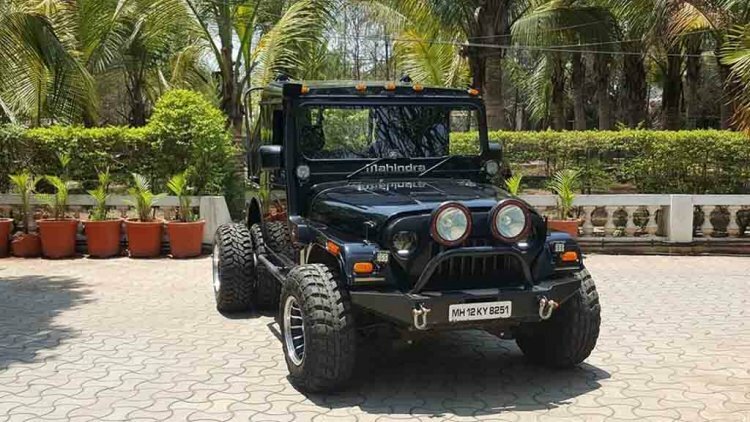 Done up by Punjab-based Sarblo Motors, this modified Mahindra Thar has immense road appeal. It debuted at the Autocar Performance Show 2018. The Thar Draco features a metallic blue exterior paint job with 'flame' graphics on the bonnet, front fenders, and doors. A more significant highlight, however, is the new set of wheels that have been shod with huge off-road spec tires, thereby giving the SUV a much bolder stance than the regular model. Other notable additions include an exterior roll cage, a plastic snorkel, high-placed revised rear fenders and a custom rear bumper. 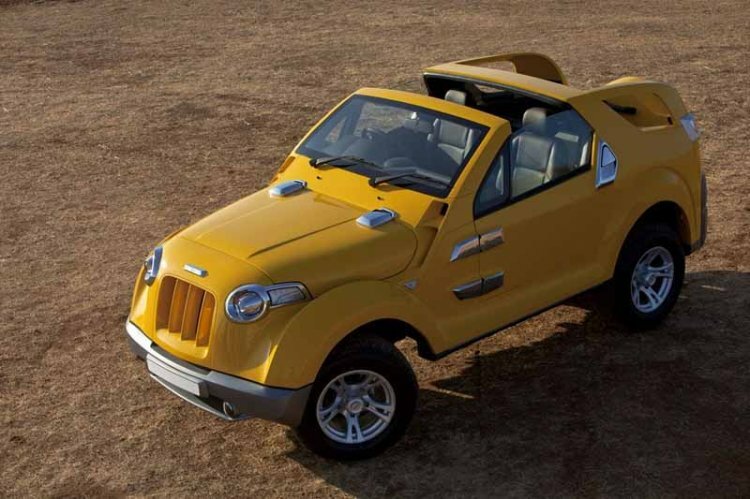 The modified Mahindra Thar by DC Design looks absolutely nothing like the regular model. Indian car designer, Dilip Chhabria's DC Design, has given the popular SUV an entirely new exterior design that makes it look a tad soft. As per the custom design house, the modified Thar is for metrosexuals who love the Thar's great off-road credentials but need modern aesthetics. 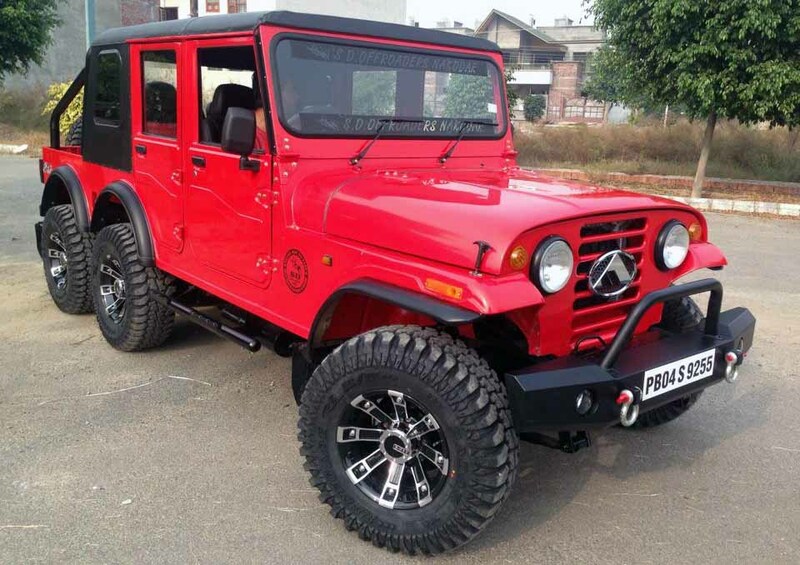 Seen above is another modified Mahindra Thar by DC Design. 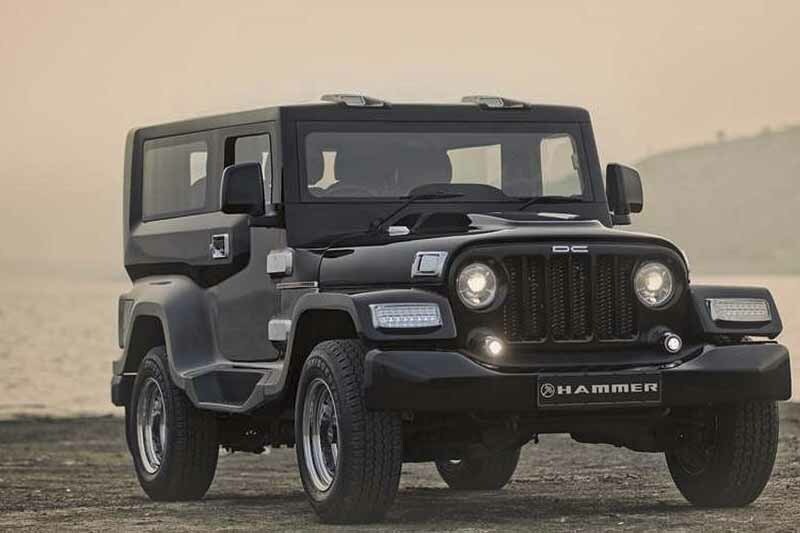 Dubbed the 'Hammer', this Thar-based SUV from the famous design house doesn't look unconventional like the one above. The DC Hammer carries most of the lines of the regular model and receives a handful of styling updates that impart a slightly more modern look to the rugged SUV. On the inside, the dashboard gets chrome trim and a touchscreen audio system. Mechanically, however, this Thar remains entirely unchanged. It continues to draw power from a 2.5-litre diesel engine that produces 105 bhp and 247 Nm. 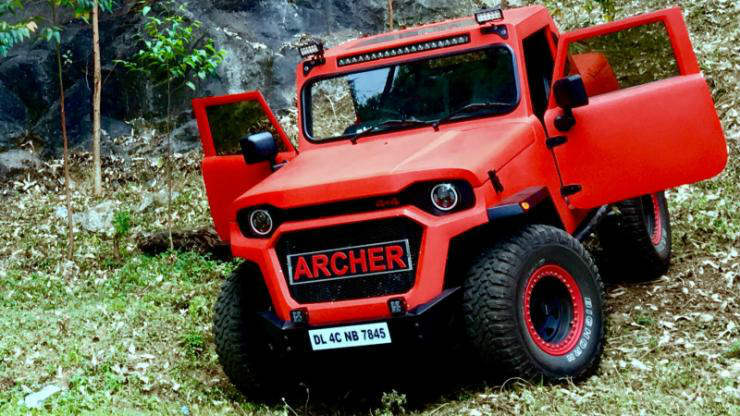 A Delhi-based customiser spent two years and INR 10 lakh to come up the Mahindra Thar-based Arche Muscle Truck Concept seen in the above image. The aesthetics of this Thar have been given a comprehensive overhaul as it looks a lot bolder and edgier than the original vehicle. The Archer is 6-inch shorter than the regular model but features new doors that are 6-inch longer than the regular ones. The hood height has seen in an increment of 10-inch. On the inside, the Archer features a new dashboard, power windows, remote central locking, roof-mounted switches, a three-spoke sports steering wheel, and a high-end Rockford Fosgate music system. It even gets a DieselTronic tuning box and a performance-tuned exhaust, while the suspension features fibre leaf springs at the rear and new gas-charged shock absorbers. The modified Mahindra Thar from Kerala-based St. Mary's Garage is easily the most aggressive-looking iteration of the lifestyle SUV that we've ever come across. This modified Thar features a restyled front-end that carries a more angular hood, a new grille, and a custom bumper that holds an electric winch. The headlamps have been updated to hold LED DRLs and projector headlamp, while the bumper carries a pair of auxiliary lights. The fenders have been reworked, and the original wheels have made way for multispoke alloy rims. At the back, this modified Thar features new taillamps. 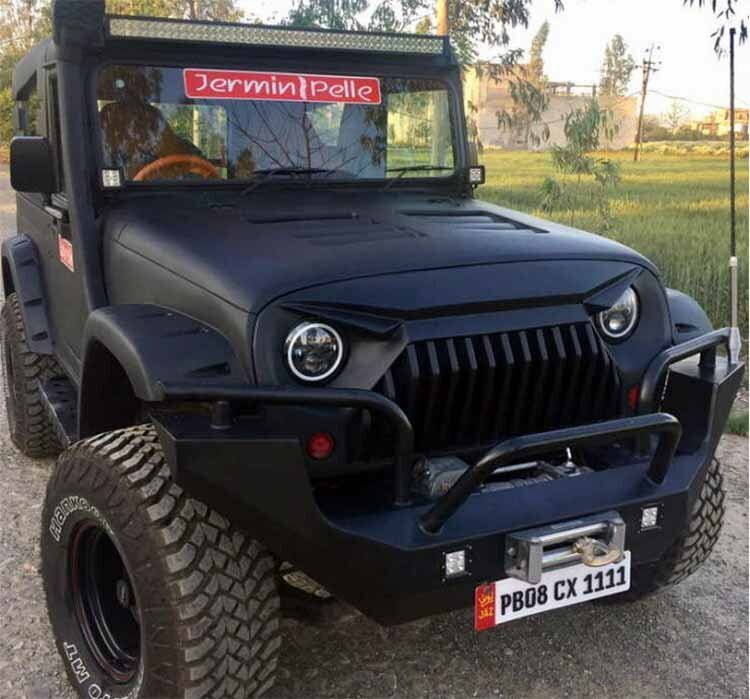 This Mahindra Thar modification seems to have been inspired by the Mercedes G-Wagon 6x6 model whose images went viral on the social media a couple of years ago. Like the rare luxury SUV, this modified Thar features six wheels and manages to capture the essence of the highly capable German SUV. Other modifications include a dual-cab body and an off-road spec bumper with an integrated bullbar. 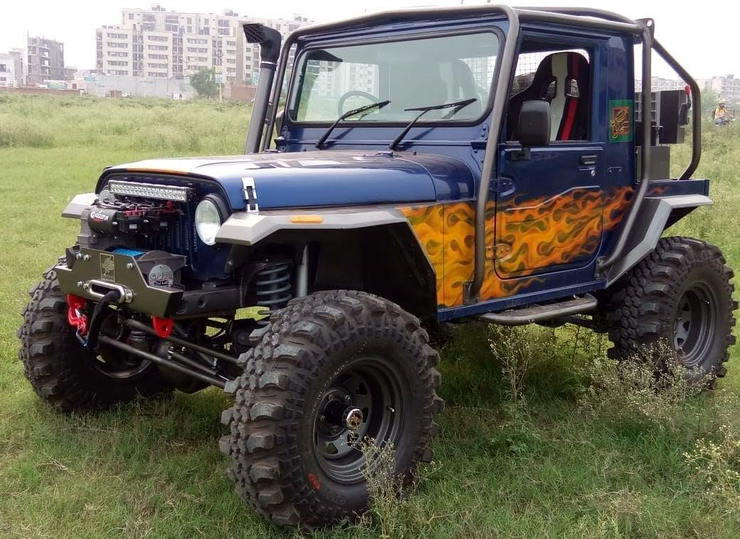 Here is another modified Mahindra Thar that doesn't look much like the regular version. The mod-job by Pune-based SP Customs features an entirely new front-end that has a boxy profile and looks much bolder. The honeycomb grille has made way for a Hummer-inspired unit, while regular bonnet has been replaced with a custom hood. Other new bits include a custom bumper with a faux skid plate, a hard top, new alloy wheels and new taillights. Pune-based Grizzly Customs has come up with a modified Mahindra Thar that has six wheels! The Thar appears even bolder with the two additional wheels at the rear. Also, bits like the LED projector headlamps, the front bull bar, large headlights, and the custom bumper make this Thar look more aggressive. The black paint job also plays a role in making this Thar look wilder. 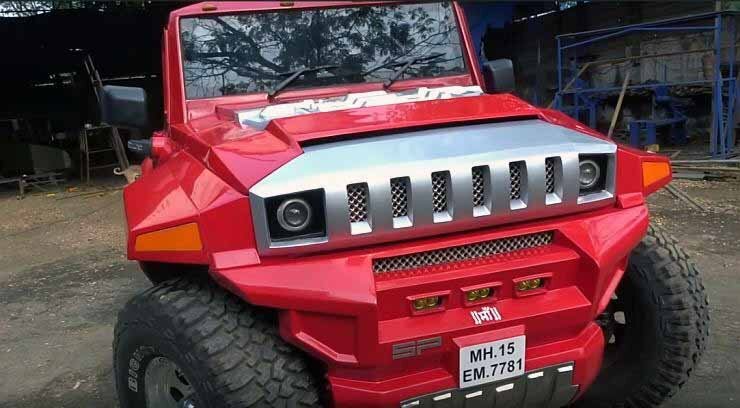 Inspired by the Angry Birds cartoon, this modified Mahindra Thar gets a custom grille that tries to have an essence of the much-loved cartoon character. The bumper is also new and has a built-in bullbar. Furthermore, this Thar gets wider tires and bolder wheel arches. The Thar also receives a custom fibreglass hardtop that has been given a very aggressively design. The rear-end also gets many new bits such as LED taillamps. The interior has been completely revamped and gets new bucket seats at the front along with several other new bits. 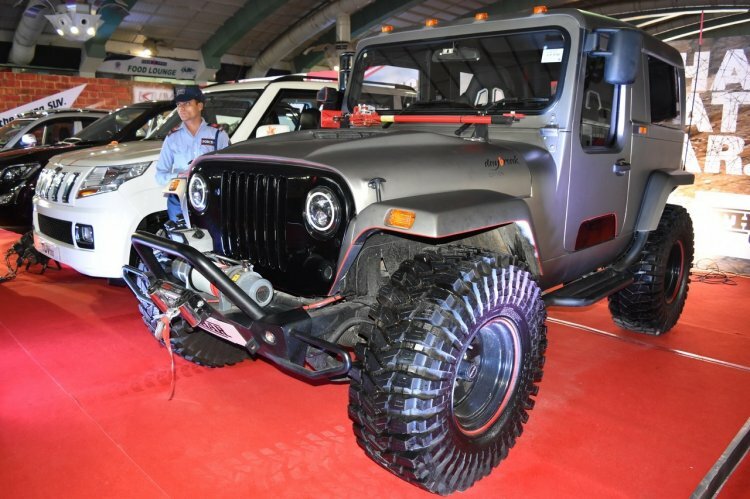 The Mahindra Thar Wanderlust was showcased at the Auto Expo 2018. It qualifies to be called the wilder version of the Thar Daybreak that was seen at the Auto Expo 2016. The Wanderlust gets gullwing-style doors. The custom model rides on 33-inch negative offset wheels that have been shod with wide tires. The front grille and the fenders have been custom-built, while even the grille is new and holds projector headlamps with LED DRLs. The plastic bumper on the regular Thar has made way for an off-road-spec unit that carries an electric winch. Mechanically, this Thar remains the same. It gets its juice from a 2.5-litre CRDe motor that produces 105 bhp and 247 Nm. This official Mahindra Thar mod was showcased at the Auto Expo 2016. The Daybreak looks bolder than the regular model and comes with many new bits, including an off-road-spec bumper with an electric winch, updated grille, projector headlamps with LED DRL, new doors, and a hard top. At the rear, it gets LED tail lights. The Thar Daybreak rides on off-road-spec steel wheels that wear multipurpose tires.